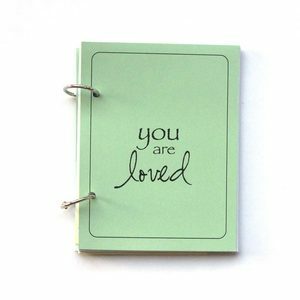 Start celebrating your story with a Gadanke journal. At Gadanke, you'll find inspiring and handmade travel journals, personal diaries, baby books, gratitude minis, and very soon - daily Christmas journals! 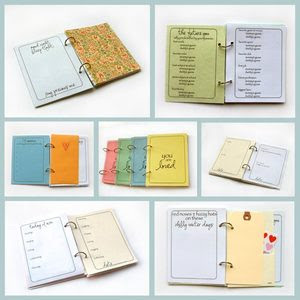 Katie makes each book of writing prompts with with 100% recycled paper, textured Italian paper, pockets, library cards, and little embellishments that are just perfect for documenting your world. You'll laugh. You'll cry. You'll never forget. 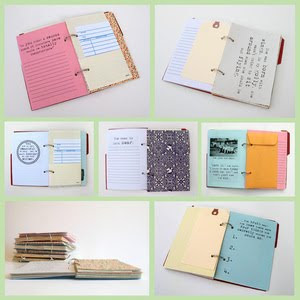 Each book is handmade by Katie, and she offers plenty of opportunities to peek in her own journals and readers'. Katie is offering $25 store credit to Gadanke! For your chance to win, enter your favorite Fall music below. Winner will be chosen on Monday! sooo pretty! My favorite fall music is always something like Jamie Cullum or Norah Jones. I love Ingrid Michaelson or Norah Jones in the fall . . . I feel like wearing Jeans and a comfy sweater and sip hot cocoa. 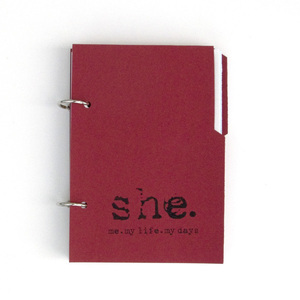 Oh, I just discovered her lovely journals! I'm so excited about the giveaway! My absolute favorite fall music is Iron and Wine. Great books! I always turn back to the Little Women soundtrack for my fall music. I love it. my favorite genre is country and i lean more towards bands like little big town and zac brown more as fall settles in. tome fall is football, hot apple cider (or ice cold blue moon) and pretty harmonies/sweet guitar playin'. I dont have any favorite 'fall' music... but I am totally pumped for Xmas tunes! yay! Favorite fall music is Simon and Garfunkel. Yes...or Florence and the Machine. Those are so great! I would have to say my favorite fall music would have to be Ingrid Micaelson! Her voice seems to fall so softly like the leaves falling from the trees. Just came across John Legend's Slow Dance which is amazingly romantic and sweet. Those journals are awesome! I love acoustic music in the fall! I like Ray LaMontagne--that voice makes me want to move to New England and cozy up with some tea! What a creative idea! Favorite Fall music....anything happy and cheery! I think i listen to a lot of Joshua Radin during this time... he's so chill and romantic... love it! those journals are soo cute. my favorite fall music is anything acoustic. right now I'm all about Jeremy larson's Salvation Club. He just gave away a free download on bandcamp. Oh my goodness it would mean so much to me to win this giveaway! I don't listen to a lot of music, but I love the band Blue October! My favorite fall sounds are A Fine Frenzy's "You Picked Me" and anything with a Scottish vibe... love me some bagpipes! My favorite fall music is listening to nature! I'd have to agree with some of the other commenters, my fall favorites have to be Norah Jones, Adele, Joshua Radin, and Jimmy Eat World. Love these! Right now, I'm all about some Kings of Leon. Hands down - The Civil Wars! Love them! I love those! My favorite music this fall is Avett Brothers and Mumford & Sons! Fall music? Josh Groban. It's the perfect thing to curl up in. Those are so awesome! My favorite fall music is a Etta James or some other jazzy tunes. mewithoutyou is my perfect any time band, but right now metric has been playing an awful lot! i don't listen to a lot of music, i like the same music year round. but i guess i like something a little more chill in the cooler months. love Celtic Woman all year but they have some wonderful songs that go along with fall! Those notebooks are very cute! I'm just listening to the new album from Fran Healy (ex lead singer of Travis). It's pretty cool - I think I'll be listening to it rather a lot this Fall. I was just listening to Sleeping at Last while sewing, and it was so soothing. I think right now, that's my favorite music, and it's fall so it's my favorite fall music. I think Band of Horses is just perfect for the cool breezes and cuddling up on the couch! Well, I'd have to say that Coldplay is my favorite fall music... but it's actually my favorite all the time. Um, does it count that I can hardly make it to Thanksgiving to listen to my Christmas music? But really, if I had to create fall music playlist, I would probably want to listen to some crazy ragtime music. That's so weird, but fall-ish to me! My favorite Fall music is Florence + the Machine! I just can't get enough of it! Loving track #8 "Between two lungs" - it's magical! My favorite music for this fall is Pomplamoose. They are on youtube and make awesome music as well as cool videos. For fall, I would Bon Iver is wonderful to listen to. Or at any time, really! Norah Jones, Massive Attack or something Indie-like. i don't really have a favourite fall music in particular...but i have been listening to a TON of bon iver lately!! Cute cute cute journals. My favorite fall music is a playlist that consists of Amos Lee, Alexi Murdoch, Edwina Hayes, and Jeff Buckley. Fall always makes me want to listen to bluegrass. Lately I've been loving "Antifogmatic" from the Punch Brothers, especially the song "Rye Whiskey." What fun music for driving to the Blue Ridge Mountains to see the pretty leaves! Slower, dreamy stuff like Deathcab and Copeland tend to be high on my list. Jeremy's music is also great for this! For some reason, Fall always makes me want to listen to classic jazz... Like Ella Fitzgerald, Louis Armstrong, and a bit o' Frank Sinatra thrown in. Love! Beautiful books! Favorite Fall music is the Wailin' Jennys. You should check out my fall playlist on my blog! Ooh, I love this giveaway! My favorite fall music is Belle & Sebastian's! Beautiful books! My favorite fall music now is Damien Rice! My favorite fall music is the soundtrack to "Sleepless in Seattle." As creepy as this sounds, my favorite fall music has got to be the Sweeney Todd Musical Soundtrack. I just love it! This would be perfect for our soon to be here baby boy! I live in Phoenix and would love for it to feel like fall right now. Ingrid and Regina fill me with hope! My favorite fall music is Pedro the Lion. So beautiful. love these! sufjan is my fall ideal music! Hmm fall music. This one's tough... I've been listening to a LOT of Jamie Cullum recently so I suppose I'd have to say he's my top pick for fall :). is it lame and too early to say Christmas music?? The spill canvas, Straylight Run & johnny cash. over and over again. My favorite music for fall has got to be Edith Piaf! Fall for me means nostalgia so she really sets the mood. me and my boyfriend were just talking about this today but for some reason Ella Fitzgerald makes me think of fall. my favorite fall music has been Band of Horse-Infinite Arms. Fall music, hmmm? The Monster Mash lol? I suppose I like piano music, watching the fall leaves, maybe some Jim Brickman. I have always wanted to be a person that kept a daily journal, something romantic about it...especially with these good looking gems!! this fall? elliot smith. all of it. I went to a Stars show the other day and it was PERFECT for fall. And the new Jimmy Eat World album just came out, which is equally perfect. These journals are absolutely divine. My favorite fall music is the Tallest Man on Earth. every song on my friends pumpkin spice playlist. its the very best for fall! So beautiful! My favorite Fall music is Neutral Milk Hotel! Love the journal! I love Nickel Creek in the fall! I love journals! So cute! I love Adele at any time of year, but especially for fall. Her voice has that rough, smoky sound, like just getting over a sore throat! But more than fall sounds, I love Christmas music... when fall comes I know the Christmas tunes are just around the corner. Love, love, love gadanke journals. They're amazing! my favorite fall music is anything with a melody really it just has to sound like fall! I love the ideas behind your journals - so creative and thought-provoking! My favorite music right now (and so for Fall) is jónsi's album "Go." loving freelance whales right now. My favorite fall music is Joshua Radin and/or Alexi Murdoch. Their smooth voices are perfect for cool air. We used to sing a hymn at school called 'Autumn Days' and every single Autumn I find myself humming and singing it - it's awesome. I love Paula Cole in the Fall. These are beautiful! When fall comes, I like to bust out any folk music, the sappier the better! my favorite fall music is... um... i don't know what is considered "fall" music. but i love music a lot. i probably listen to music for like 10 hrs a day! but i love john mayer, michael buble, & celine dion. but what i really love is christmas music!! city & colour.oh so good! I love love love the beautiful journals. In the fall ......I start listening to Christmas music. I know it's horrible but I feel that the fall is the early start to the big holiday season. It gets me into a bubbly mood early for the holidays. I start making my Christmas gifts in the fall and the music gets me going. I am loving Edward Sharpe right now. For some reason it makes me feel like I am in the midst of fall. Neil Young - Harvest. And Fiona Apple. And Mazzy Star - So Tonight That I Might See. Very gorgeous! Here in Australia it's Spring so my favourite music to listen to while the sun is shining and the flowers are blooming is Ben Lee. I'm loving Florence and the Machine at the moment... and those journals are gorgeous! I love to road trip in the fall and listen to Tom Waits. I also can't wait to get my copy of Secret Sisters new album to listen to this fall. Love this giveaway! My favorite fall music right now is Sara Bareilles. Favorite fall music - It's the Great Pumpkin Charlie Brown! and Ingrid Michelson. My fav Fall music is something that puts a spring in my step and a smile on my face so either some early Beatles or maybe some Jurassic 5. Played suitably load of course! oooh my favorite fall music has got t be the Mystery Jets :) very fun music for playing in the leaves! It's got to be something mild and mellow.... perhaps Bernard Fanning. these books are so gorgeous and inspiring! my favourite music this fall is eliza doolittle, they light up those grey days as well as being an excellent soundtrack to jumping in piles of fall-coloured leaves! Fall music? I didn't know there was such a thing...maybe Micheal BUble? this is random but we always listen to christmas music in the fall...i think it gets us geared up for the next holiday! Love ben harper's 'live from mars' right now. listening to Joshua Radin today. He has a lovely voice for the Fall. Hmm fall music. Too early for Christmas Carols. Maybe a little Monster Mash to get in the mood for Halloween? i would drink starbucks and write in that journal alllll day! So cute. My favorite fall music is probably Joshua Radin or anything like his style! My favorite fall music must be Christmas music...gets me in the mood for celebrations with my family and cooler weather. Blue grass. I don't typically listen to it too often, but for some reason, autumn makes me want to jam out to a fiddle! Lovely books. So simple and pretty! Love the journals. My favorite fall music just has to be "country music". My favourite fall music is Regina spektor, she & him and marina and the diamonds! These books are beyond beautiful! I love these books! My favorite fall music is that super spooky stuff they play at haunted houses. Creepy! I have a secret love for notebooks. I LOVE buying them even if I don't need it!! Sufjan just sounds like Fall to me, but I've been listing to a lot of Laura Marking this year too. Happy Fall!! Johnny Cash is best when heard in this season, I do not know why. It just feels more fulfilling! i love these books. and i would have to say Bright Eyes for the fall. My favorite fall music is Elliot Smith, Bright Eyes, and Fleet Foxes! So calming. Right now it's Jeremy Larson. I was given the album at Renegade and it's definitely my go to around the house music. Can't complain with that! This fall I love songs from Ane Brun, a Norwegian singer-songwriter. Each season I make a new playlist on my iPod. It's usually filled with new songs that are on my radar. This Autumn- my playlist includes Florence + the Machine, Lykke Li, 30 Seconds to Mars, and Mumford and Sons so far. Nina Simone - it just has that lovely end of summer/start of Autumn feel to it. Lovely stuff. I love Over the Rhine pretty much all year through, but as it gets chilly there is nothing like listening to their album Ohio. I love this mini book sooooo much!! My new favorite band for fall/winter music is Ellery. They are AMAZING. WOW! These are SO cute! My favorite fall music is Ben Folds or even Ben Folds Five! Favorite music... right now I am actually enjoying hip hop! Currently addicted to David Bazan's newest 'Curse Your Branches'. I just love her books! My favorite fall music is anything acoustic. Something about the falling leaves and cooler weather makes me want to sit on a porch and listen to someone play the guitar. I just love it! Drew Holcomb and the Neighbors do it well. Oh those are so inspiring. Love that they are recycled too! My fave fall music is the same stuff I used to listen to when I was in college, mostly Sarah MacLachlan, Beth Orton, Jann Arden and a little Alanis Morrisette. Brings back the memories. I love anything folksy in the fall! this fall, i'm stuck on lenka's "the show"! The Avett Brothers and Bon Iver and The Miniature Tigers. <3 My favorite fall music.